Three girls take on the world of books, comics, anime and manga. Having paid thousands of dollars studying art, I know a good art when I see it. But you don't have to be a classically trained artist to recognize BAD art. And I mean, BAD! A friend introduced me to the website Regretsy.com. This blog posts really really awful arts and crafts that can be found on Etsy. They've also added a feature called "View it in a room" where they take said bad art, and place it in an appropriate room, with hilarious results. And yes, this is REAL art for sale on Etsy.com! Click "VIEW IT IN A ROOM"
You too can star in Twilight: New Moon!! Happily, the people at Regretsy.com have a book deal with Random House. I can't wait til it comes out! Thanks for all the laughs! Back from a LONG vacation!! Bored of your pictures? Here are a few fun internet sites that will add some interest to your boring pics! You too can posterize your photo to look like the famous Obama poster. Have you seen that awesome photo of a squirrel popping up when a couple tried to take a photo of themselves with a timer on National Geographic? 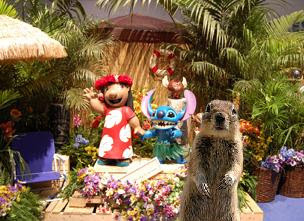 Now you can add that squirrel to any photo! Pimp out your pics with this fun tool. Just upload your pics and add lots of fun images. Hey, where'd all these birds come from??? Mini Tezuka Osamu collection... a steal for $1,113!!! 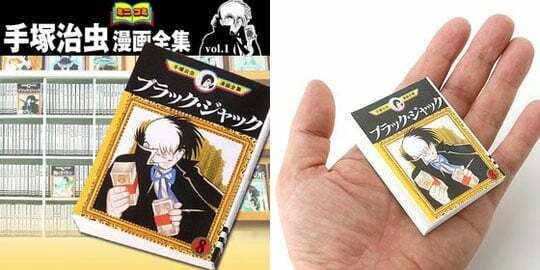 Japan Trend Shop is now selling a 200 volume miniature set of Osamu Tezuka, which includes "Black Jack," "Jungle Emperor,", and "Phoenix." This "mini comi" series was produced by Sega Toys, and is an authentic copy of the original manga. Each comic measures approx. 2" x 2.7". Some sharp-eyed attendee at ComicCon 2009 spotted this oddity. A Hello Kitty Stormtrooper! The gloves have paws, and the helmet has ears. Sooooo strange! What's next... Hello Kitty wookie?? LOL And... someone get the cat some pink shoes! 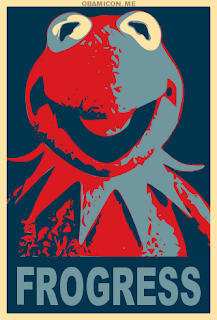 Photo is from Boing Boing.